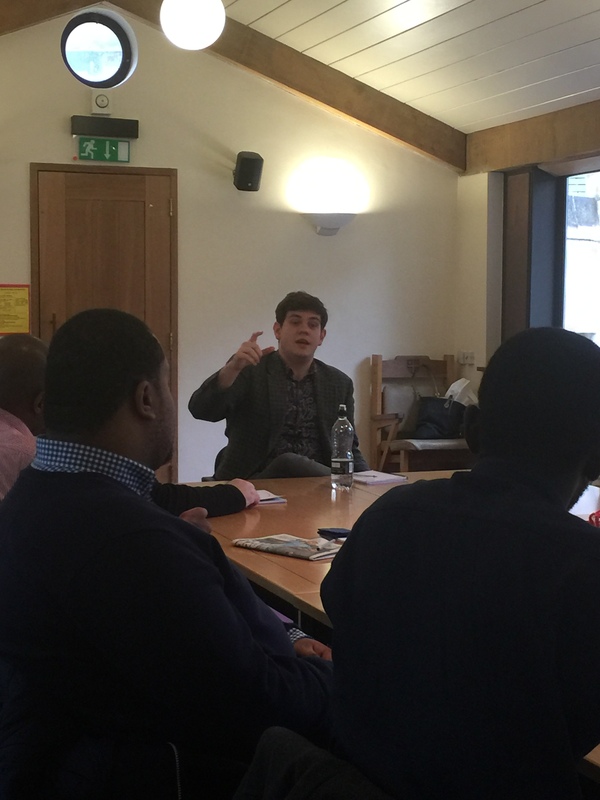 Southwark Cathedral hosted the 12th Orientation Week for Growing Talent in their Chapter Room. A light, airy room in which to learn, build confidence and relationships of trust. Within 10 minutes of entering the room, the 10 ‘strangers’ started to plan their first presentation to the room. ‘Six pictures of your life’! 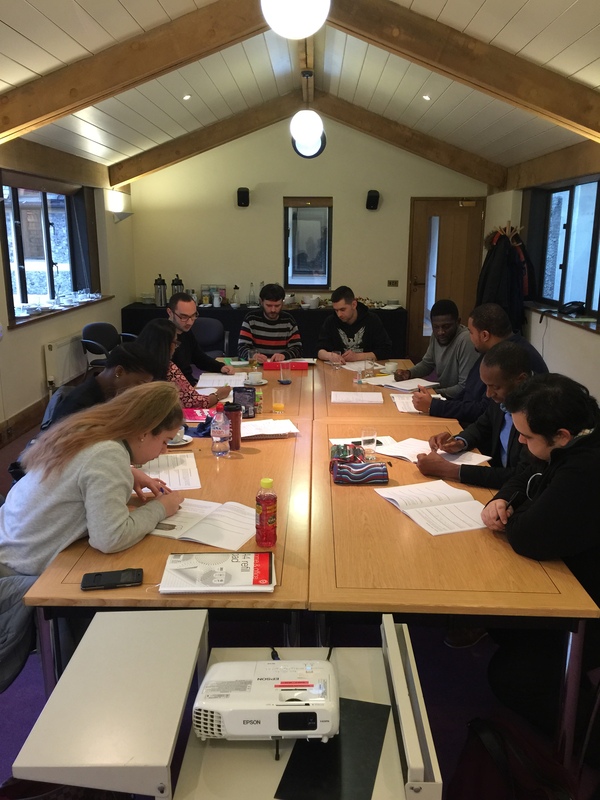 Using landmarks in their lives the Growing Talent Associates – they are no longer allowed to call themselves ‘unemployed’ – confident public speaking ensues! This is the foundation we build on for enhancing confidence and assertiveness for going on site. 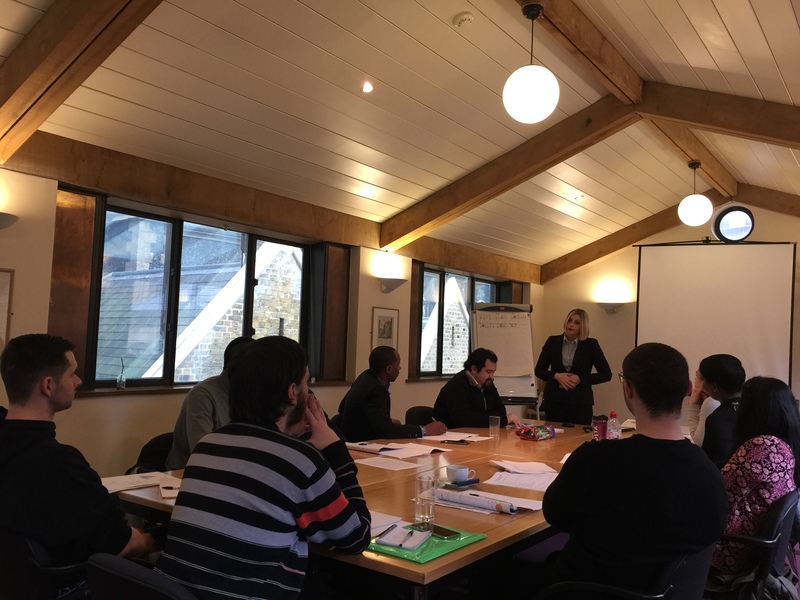 Tuesday dawned with Gosia – part of Honeywell’s Audit/H&S team delivering a manual handling workshop. This is delivered to ensure the guys have basic knowledge prior to a more in-depth session bespoke sessions in their roles. A slightly nervous Gosia above with the guys talking manual handling! 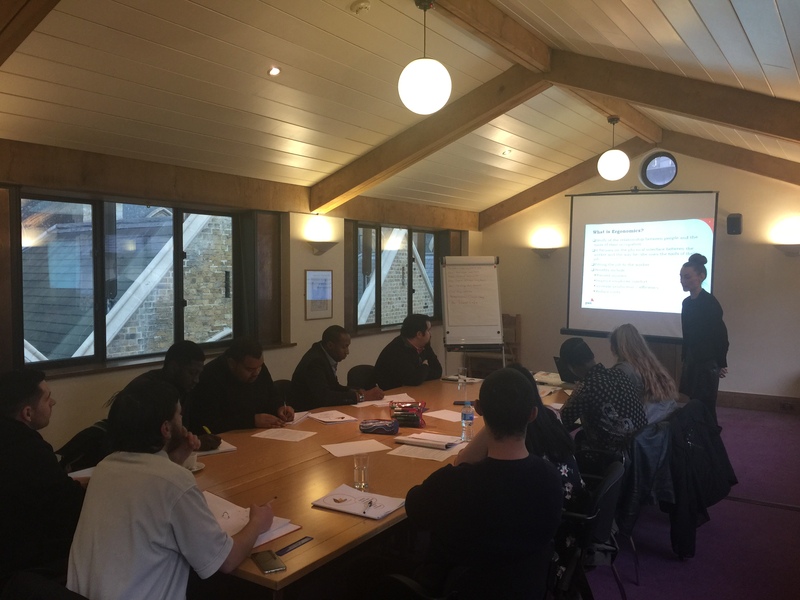 On Wednesday the Portico team – represented by Michelle, below, – came across to deliver their ‘Give Yourself The Edge Presentation’. Unfortunately the gods of technology weren’t listening and Michelle’s films would not play! Still, she delivered an interactive session and gave an overview of her journey to her current role – not a straight line at all! After Michelle’s workshop, Linda one of the guides at Southwark Cathedral gave a tour on ‘hidden opportunities’. The synergy was people who over the centuries had taken up challenges at the Cathedral – not really knowing what they were doing. Learnt as they went and left a legacy. This was the venue for one of the first London hospitals back in the 11th Century. 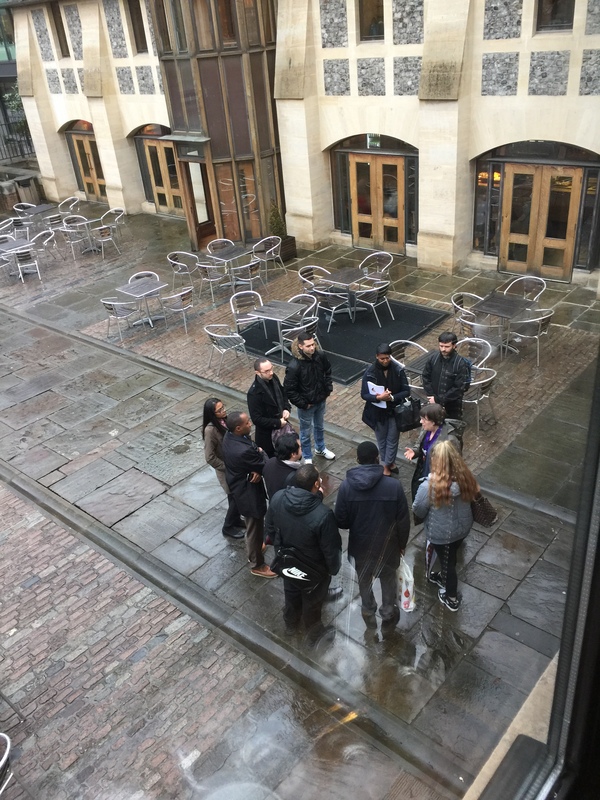 Above the guys met Linda in the Courtyard to be briefed for the tour – great feedback! The guys below working hard on some case studies! On Thursday, Chris dropped in to support the guys and share his insight. Chris undertook Growing Talent on the 2nd programme when there was less support from Job Centre Plus and things were pretty tight. He completed, joined Mitie Connect where he worked for two years before accepting another position with Portico as front of house reception at one of their prestigious accounts. 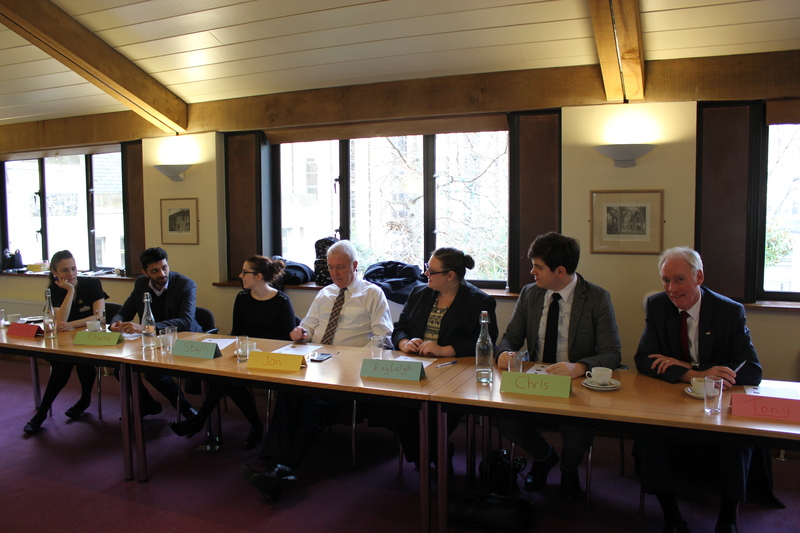 Chris agreed to return to be one of the judges at the Social Enterprise panel on Friday. It shows the level of commitment and passion in Growing Talent Graduates return to support those following them – Chris has to loose two days annual leave to attend! 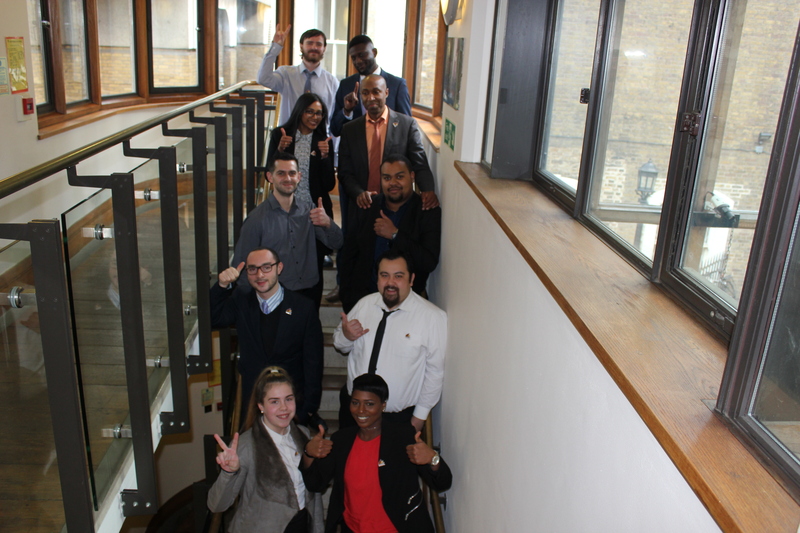 Interjecting the above guest visitors with workshops, case studies, debates etc on communication, assertiveness, Social Enterprise challenge – we were finally ready for the Growing Talent Dragon’s Den – also known as the Social Enterprise ideas presentations to the judging panel. Lastly an internet cafe run by the community for the community with facilities for hourly hire of deskspace for those who want to set-up their own business by John. Previous Growing Talent 12 Begins!